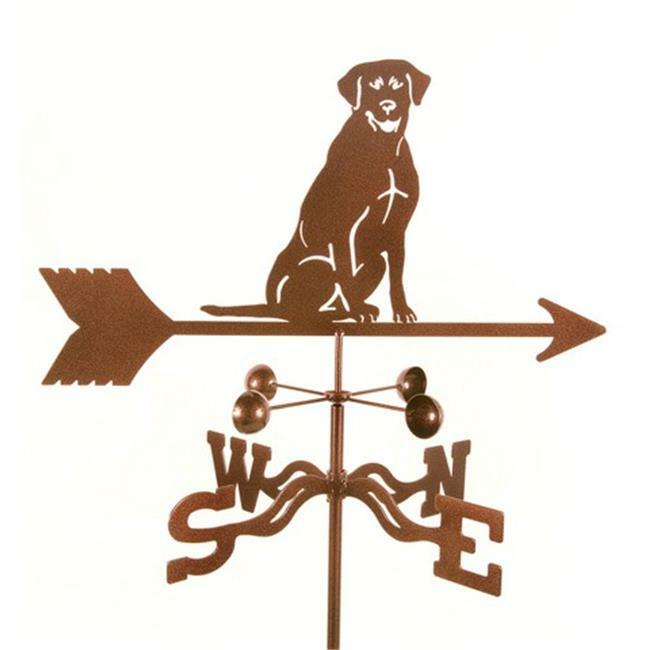 Show your love for the most popular breed of dog with this Lab weathervane -Made of 14-gauge steel, this weathervane adds a touch of beauty in any home or garden setting. Easily installs in less than 1 minute. Intricate laser cut design with 3 protective coatings baked on to prevent rust or fading for years. Complete set includes laser cut top, windcups that have sealed ball bearings to gently turn in any breeze, an EWNS directional that tells the direction the wind is coming from and your choice of mount.